A team of astrophysicists believe they have discovered a huge, icy, dimly-lit "super-Earth" -- 3.2 times the size of our planet -- and it's just six light-years away, according to a new report published this week in the journal Nature. Barnard's Star is a so-called red dwarf star, one of the nearest stars to our solar system's sun. “After a very careful analysis, we are 99% confident that the planet is there,” team leader Ignasi Ribas of Institute of Space Studies of Catalonia and the Institute of Space Sciences, CSIC in Spain, said in a statement. 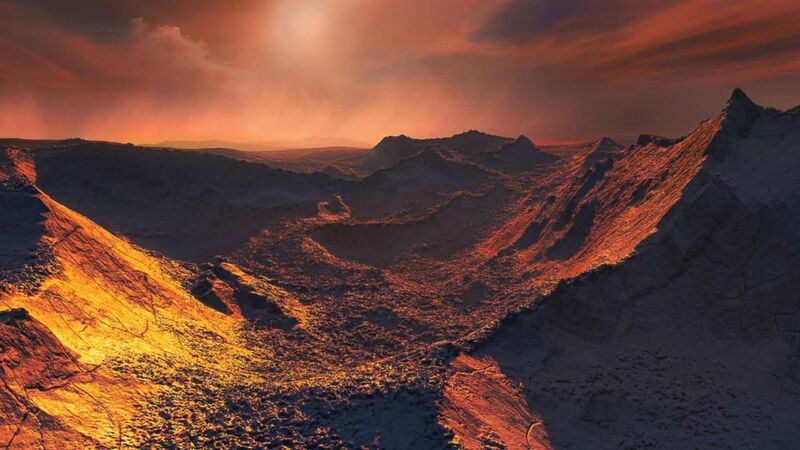 An illustration shows the frozen surface of a newly discovered exoplanet at least 3.2 times as large as the Earth rotating Barnard's Star, the closest single star to the Sun. The super-Earth, which orbits Barnard's Star in about 233 days, is inhospitable to humans. “This freezing, shadowy world could have a temperature of 170 [degrees Celsius], making it inhospitable for life as we know it,” read the statement. 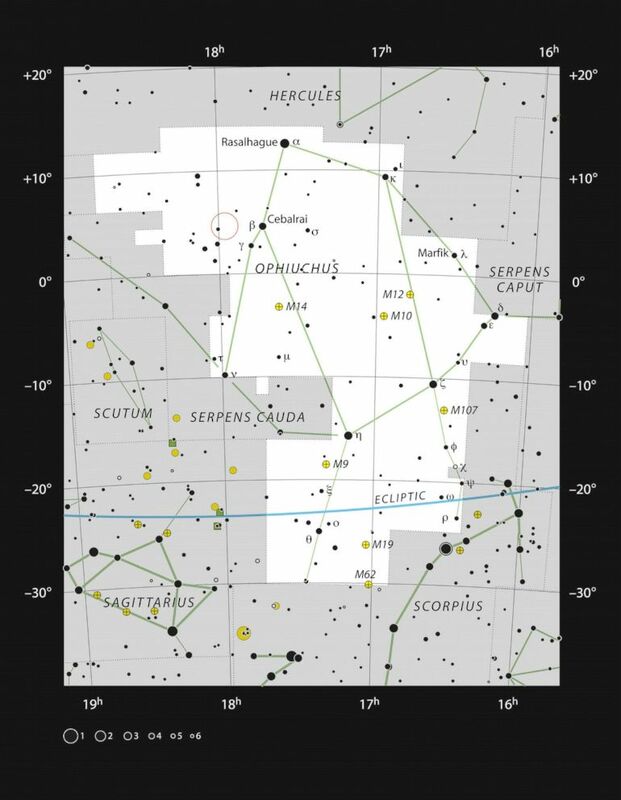 This chart shows the location of Barnard's Star within the constellation of Ophiuchus, straddling the celestial equator, and marks most of the stars visible to the unaided eye on a clear dark night. Previous efforts to identify a a planet orbiting Barnard's Star have been unsuccessful, but this time around, astrophysicists combined measurements from a number of highly precise instruments mounted on telescopes all over the world, according to a statement from the European Southern Observatory, whose High Accuracy Radial velocity Planet Searcher (HARPS) spectrograph was a key player in the pursuit of the presumed super-Earth. A spectrograph is an instrument that separates light by its wavelengths and records the data. 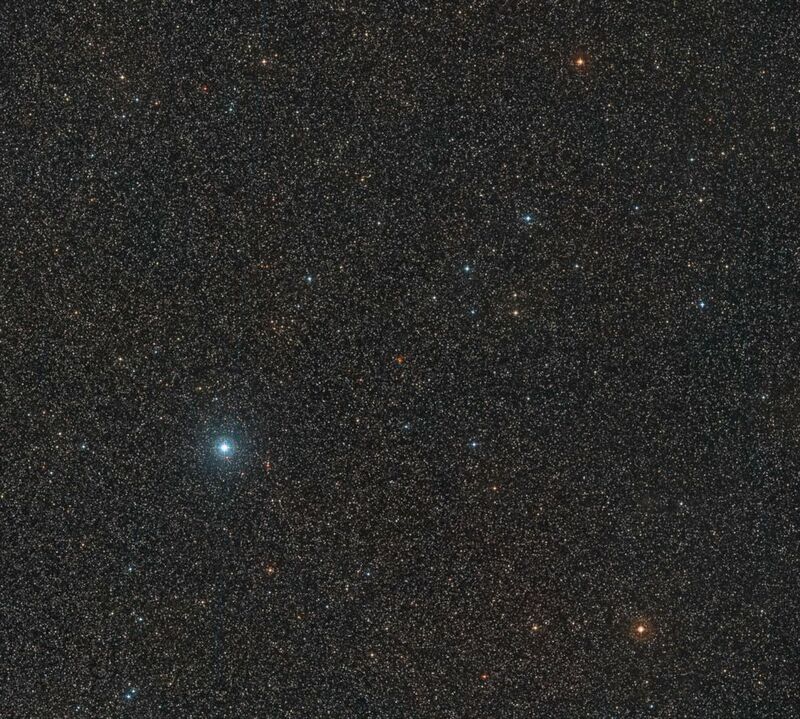 The center of the image shows Barnard's Star captured in three different exposures. “HARPS played a vital part in this project," said Guillem Anglada Escudé of Queen Mary University of London and the co-lead scientist on the team, said in the statement. A light-year is the distance light travels in one year. So any visible light from the super-Earth is light that is 6 years old.